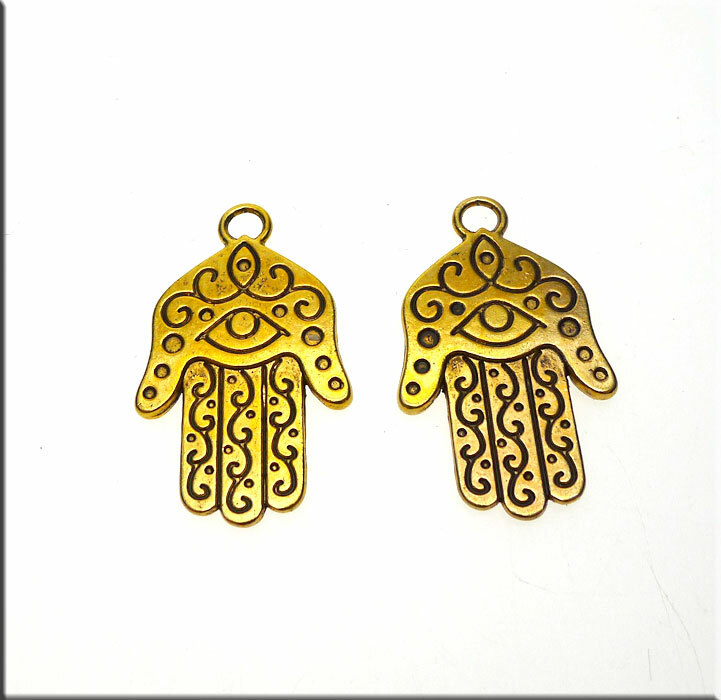 An antique gold plated Double Sided Evil Eye Warding Hamsa Pendant suspended from gold plated necklace chain with lobster clasp closure. 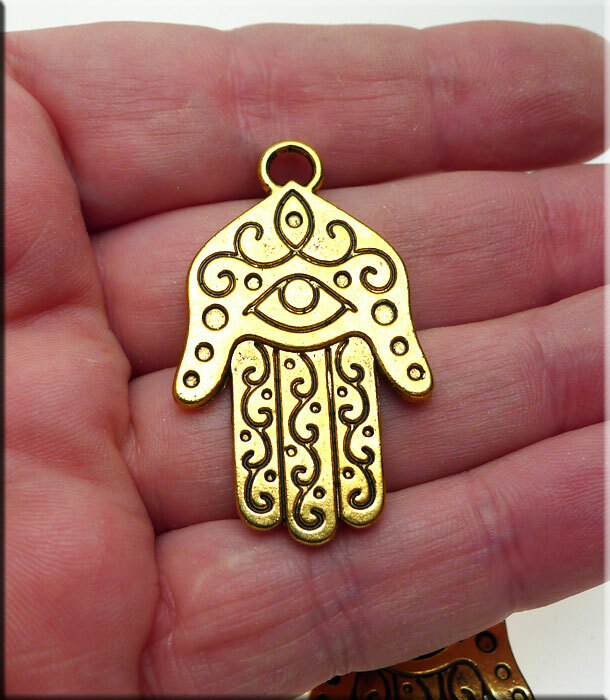 The Hamsa Hand pendant measures approx 40mm x 24.5mm = ~1-9/16" long x 1" wide. All lead and nickel-free metals used. 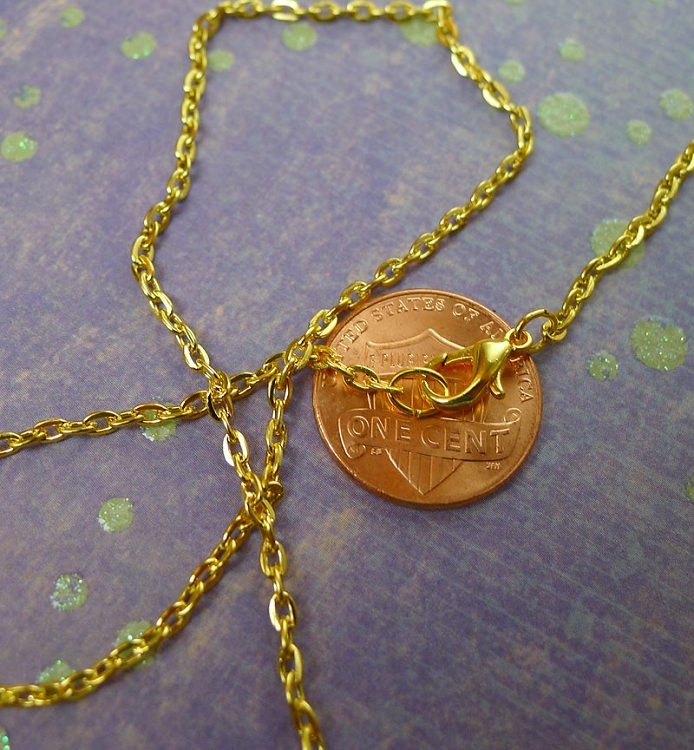 Sold by Necklace.